Disclosure: I was invited to try the Hatch Green Chile items at The Habit Burger. All opinions are my own. I'm so excited that the Hatch Chile Festival has returned to The Habit Burger! This means that the three special menu items that make use of this flavorful Southwestern pepper are back for a limited time. Hatch Chiles are grown in New Mexico and combine three different chile varieties to create the perfect blend of heat and flavor. I really love them so much!!! And The Habit chargrills each Hatch Chile over an open flame to bring out its smoky flavor and deepen the savory taste. Believe me, you will love the flavor and the slight heat they add to three special menu items. First up on the menu is Grilled Hatch and Golden Chicken Salad. It combines a golden hand-breaded, fried chicken breast and chargrilled Hatch green chiles on top of fresh garden greens, crumbled bacon, carrots and diced tomatoes. 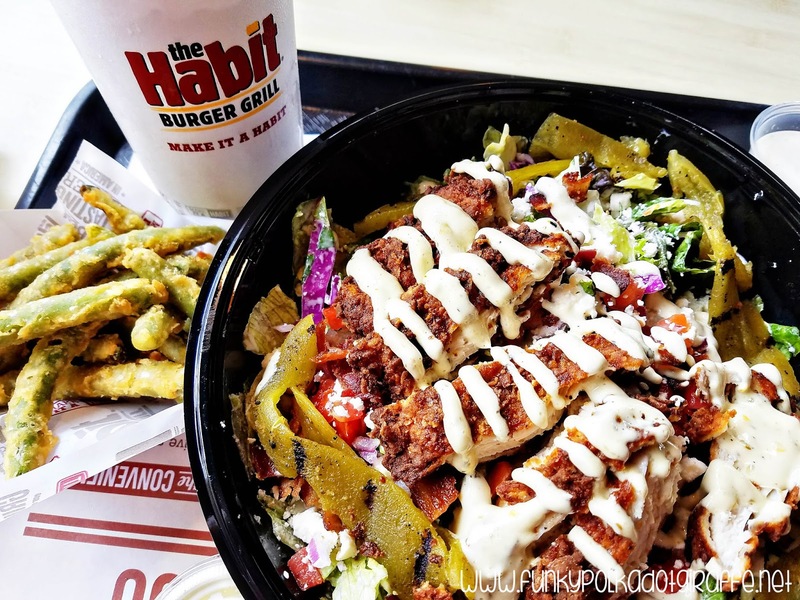 The salad is tossed with The Habit's tangy house-made cilantro lime ranch dressing and the golden chicken is drizzled with the new creamy spiced Hatch green chile aioli. I really loved the flavor the Hatch chiles brings to the salad and the new creamy spiced Hatch green chile aioli on top of the chicken just puts it over the top. The cilantro lime dressing pairs perfectly with the heat and flavor of the Hatch chiles. 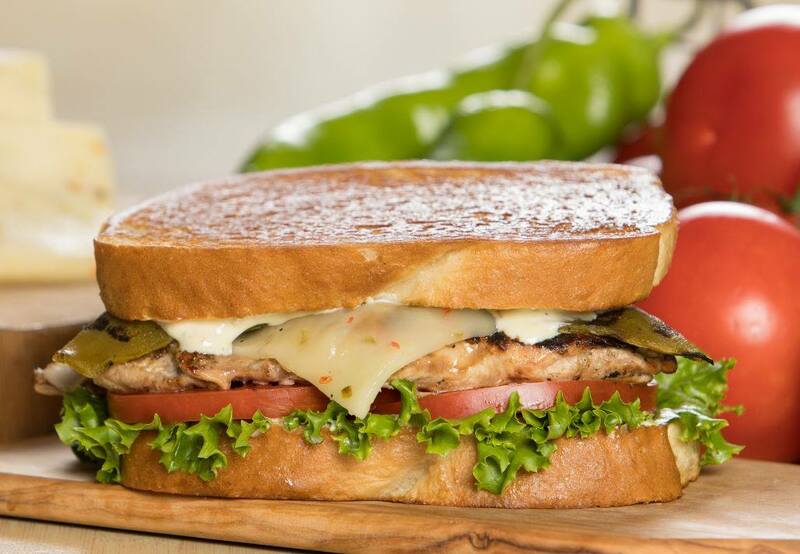 Pepper Jack cheese, fresh tomatoes, lettuce and the Hatch green chile aioli all on grilled sourdough bread. Finally, it wouldn't be The Habit Burger without a burger to round out the Hatch chile menu items. 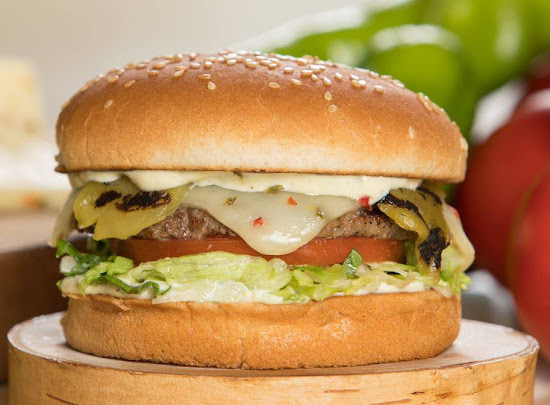 The Grilled Hatch and Pepper Jack Charburger features chargrilled Hatch green chiles, melted Pepper Jack cheese atop a delicious charburger with fresh tomatoes, lettuce, and Hatch green chile aioli on a toasted sesame seed bun. I wish that Hatch chiles were available year round so that these could all be a regular menu items - especially the salad! You're definitely going to want to get into The Habit Burger before the season is over and enjoy these before they are gone until next year. Don't miss out! You know what pairs perfectly with the Grilled Hatch and Golden Chicken Salad? Why the one and only Tempura Green Beans! What?! I dare say I love them more than onion rings and fries. Do yourself a favor, order yourself some of these with your Hatch Chile menu item of choice and it will be a big, old party in your mouth! And if those three delicious menu items weren't enough reason to get you into The Habit Burger, then how about helping end childhood hunger and getting a free Charburger on your next visit for doing so? 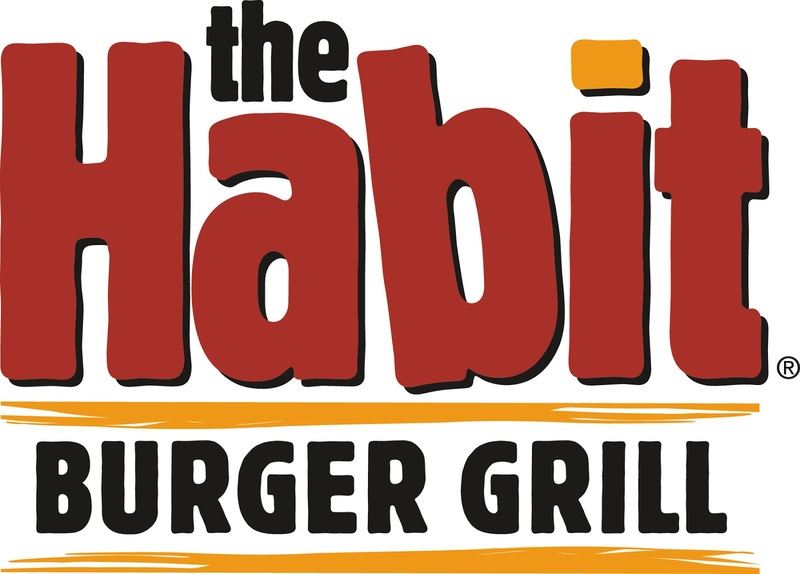 The Habit Burger is partnering with No Kid Hungry through the end of September to raise money and put an end to childhood hunger. Any guest that makes a donation of $2 or more to No Kid Hungry will get a certificate for a free Charburger with cheese that they can redeem on their next visit. Last year The Habit raised more than $400,000 for No Kid Hungry and has set a goal to raise another $400,000 this year. That would bring their three year total to $1,000,000. That equates to 10 million meals to children who face hunger. 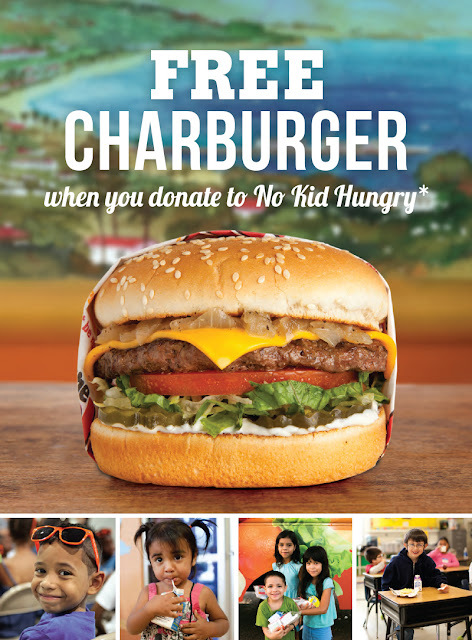 So pop in, donate your $2, get your free Charburger and help end childhood hunger! 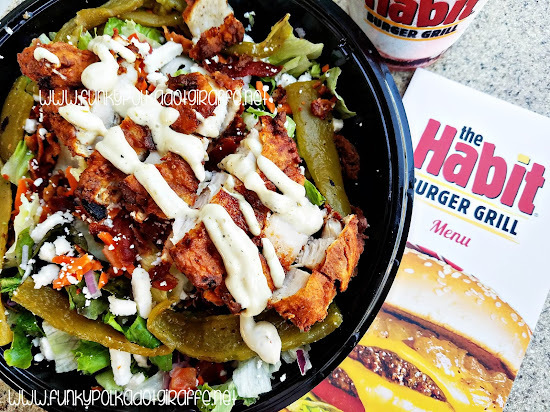 Enter below to win a $25 gift card to The Habit Burger so that you can try all the delicious Hatch Chile menu items for yourself! Grilled Hatch and Pepper Jack Chicken Sandwich looks great and would be first one I'd try out. I would try the sand which! The Grilled Hatch and Pepper Jack Charburger sounds delicious!